A franchise is business or a company, which is a tributary of the main or the original company. The term ‘franchising’ refers to a simple idea of expanding one’s business by distributing goods and services, within a licensed contract. This contract takes place between the franchisor i.e. the owner of the original brand or the product and the franchisees i.e. the person who receives the licensing contract from the franchisor. Here in, the franchisors grant the permission to deal with their product under their brand name as well as their trademark. Just like the river tributaries, the third party i.e. the franchisees sell in the same stream with the same name and same operating system. However, they have a very little freedom and have to work under the terms and condition of the franchisor. They receive appropriate amount of support and an already firm fan base for the product. The franchisee also receives support and guidance on subject like site selection, operating manual, required training, brand standards and maintenance, development support, quality and quantity control, etc. To sum it up, the franchisee receives a business contract with a ready and firm base from the franchisor. On the other hand, the franchisor gets the opportunity to reach greater and more audience. Exception: There is this little exception in the franchising system. It is not observed always, however, it does exist. Product Distribution Franchising is a contract under which the franchisor and the franchisee has a deal that states that the franchisee will sell the product of the franchisor but according to his own methods (Franchisee’s methods). There are two major type of franchising that most business persons and/or employers choose while planning their franchising. Area based franchising – like the name suggests, is a franchising contract that revolves around the area based success of the franchisee in the certain given period. This contract allows an executive to own a certain number of franchises within one area. The location may vary according to the choice of the owner. Here in, the condition lies that the franchisee must show a relative development in the given period under the instructions given by the franchisor. Generally, this is a bound contract of five years. The renewal of this contract depends upon the performance and revenue (profit) of the franchise. Master franchising is a very popular method. The entrepreneurs who wish to enter the international or the overseas market generally select this method. Master franchising gives good opportunity for both- the franchisor as well as the franchisee. 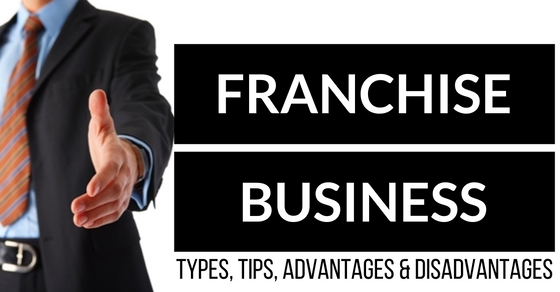 Here in, the franchisor approaches the person offshore to take up the franchise of his or her brand in the different parts of the cities or the country. Moreover, the franchisor provides support and guidance in the site selection as well as the training process. The franchisor may call the franchisee to train and learn the standards and quality of the original product. If the franchisor decides to open several franchise in a vast area then he or she may also set up a training institute for the franchisees to learn and understand the vision of the original master. Now that we know a little bit about the franchise, franchisor, franchisee and franchising, we must move forward to our topic. Tips for franchising your business in today’s market are very useful. Do you know why? Well, it is because franchising may be a route to success however; it does not provide a definite and guaranteed success. This uncertainty is a result of the competitive and challenging economy. Well, so now that you understand the importance of the need for tips let us begin with them. It sounds like I am talking about a newborn baby. Well, I feel that every proud entrepreneur considers his business as his or her baby. Do you expect your baby to understand Einstein’s theories or Newton’s logic, when he or she is two or three month old? Of course, you do not expect nor would you dare force anything on your baby. On a similar note, you should not start expecting overnight success with the idea of franchising two or three month old business. To have a full restaurant for three months (first three months) does not indicate about the long-term success. For a proper evaluation of the business, one must at least give it a year and more before considering the idea of franchising your baby. Let it grow with as much care you can provide and wait for the right time. Once you have reached the target you had set when you began with the business, you need to start organizing everything. Disorganization may ruin all your efforts. After a successful year and more into the business, you may think about working on the franchise idea. For that, the first thing that you should do is jot down, in a list, every detail about the work that takes place in your business. In short, create a manual on how your business works. This might be a very boring and bulk task but it is worth the pain. This will make the deal whole lot better and easier. Tips: Even if you do not consider franchising your business, you sure should consider organizing and creating a manual on how your business works. This will lessen the trouble for you in a longer run. This manual will ease the process from the staff training to the marketing and makes it easier for you to operate. Now, imagine that you have a restaurant in a busy street of Mumbai. In a certain period, you receive a good response due to your luck and hard work. Now when you are thinking about franchising, you need a market researcher. Just because your restaurant experienced success on the busy streets of Mumbai does not mean that it will bring the same result in Pune’s Eat Street. You need to consider factors like people’s choice, market competition, quality of your product, standard and uniqueness of your product, etc. Blindly opting for a franchise in Pune based on your gut feeling would not work. Therefore, rely on market researches, as it will help you in getting a good franchisee too. If you were the franchisee, what will be the first thing that you will check? Of course, you will think of your profit. Similarly, the franchisee that you will be approaching will have similar criteria. Thus, always propose a win-win contract that provides a good amount of profit to both the parties. You might be a self-sufficient person with good legal knowledge, however, always take a legal help in matters concerning serious business. Franchising is a crucial step; it can make or break things for you. Hence, you would not want to take any chances. Discuss and understand the laws regarding franchising in the countries. Moreover, you have dozens of things that will need professional help i.e. while setting prices, agreement, royalty, etc. Choosing a perfect franchisee is a struggle. Along with the required capital, a franchisee needs a good background or knowledge of what he or she is doing. Do not blindly hire a franchisee to carry on your franchise. Having a good knowledge of business is of equal importance in franchising or in any business. The most essential thing about your product is your brand. Your product has your brand name and it runs under your name within the standards that you approve. In such cases of franchising, there is huge risk in the qualitative production of your product. Your product runs your brand in the market; thus, add loop-free clauses regarding the material using, raw material buying, and maintain standard etc. Make sure that the franchisee does not violate or breach the contract in any manner. Raising a capital or fund beforehand is very essential. This will work as a precaution against any risk that might appear in the future. At the same time, this fund is useful in the marketing strategies, while setting up and supporting your new franchisee, and also while registering your franchising agreement in various parts of the cities or countries. Businesses that are newly set up may turn out to be a handful of hectic task. Sometimes it can turn out as something duller than the grey day. Either way, you need to support and cheer up your franchisees at times. Celebrate every milestone on the way. If possible, be in a regular contact. When you sign and register the FDD contract (also known as the Disclosure Document), they ask you to fill the name of previous franchisees (if any). Here in, you have to mention the contacts of these franchisees. However, if the previous experience of these franchisees may not be good with you then it will affect your future endeavors. Thus, always maintain good professional relationships with everyone. It is one of the secrets of the corporate world. This factor is one of the factors that attract business personals to think and consider the idea of franchising. Franchising is equal to indirectly setting up a new plan to reach greater audience. However, here you do not have to work as you do at the original place. Franchising allows you to serve wider audience in less expense. As I did say, earlier that business is like a baby to the owner. This baby when gets older enough to have children, you are worried about the children and their parenting. It sounds so confusing. Forget about the baby and now rethink. Your restaurant works according to your wish and vision under your guidance. However, your franchise might be far off in other country thus; you cannot visit it that often. Yet your franchise will run according to your wish. It will work with same standards under your term and condition. Franchising brings the joy of having a wider audience and good revenue all together. This indirect method of running your brand across different countries is a fast way to expand the business. Franchising opens the door in other countries. According to the master franchising option, one can enter within a city or different areas of a country, and build and promote the brand and your trademark. This is the first step towards a successful international venture. Best example of such a venture is McDonalds. Control is the best part of any job. Do you ever feel or wish to boss around everyone. Have you always wish that everyone should listen to what you are saying. Well, then franchising is everything that you always wished or wanted. You possess a control over the franchisee through the franchising contract. Moreover, he or she is bound to follow your rule and regulation. Setting up an industry or a restaurant may require a huge financial capital. However, franchising is not a small-scale investment. It also requires a good amount of financial support to endure any risks in the future. Along with it, you need training centers, and advanced machinery. It is similar to setting up a new industry. The third party i.e. the franchisee is responsible for the success or failure of any kind. When you receive a significant profit from any of the units, the franchisee holds the right to some of the profit that comes along with the royalty clause in the contract. It means that you have to share the profit with the third party per unit. Franchisee plays an important role in the development and success of a franchise. However, there are times when the franchisee is not what he or she seems. Sometimes greedy or inefficient people can ruin your business entirely. It is one of the reasons behind the Importance of a full proof research on everything. Moreover, the idea of franchising brings along certain limitation in the freedom to act. This is because of the bond contract between the two parties. Previous article10 Best Ways to Answer ‘Walk Me Through Your Resume’?